Looking for a dog bite injury lawyer? The lawyers at Krupp Law Offices have over 85 years of legal experience. 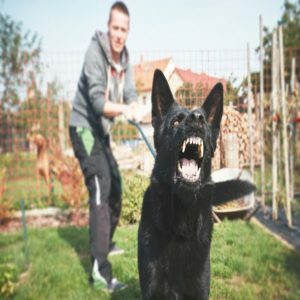 Our Michigan dog bite lawyers have helped people who have suffered dog bite injuries. Schedule a FREE consultation with our Michigan dog bite lawyers so we can help you with your Michigan dog bite or dog attack case. There are no up front fees to purse your dog bite claim! WHEN SHOULD I CONTACT A DOG BITE INJURY LAWYER? If you have suffer a dog bite injury, you should immediately contact the police and animal control. They will interview the witnesses and get all the information about the dog bite. Next you should get immediate medial attention. Go the hospital or urgent care to get your injuries treated. Make sure to take picture for different angles. Continue to take pictures until your injury has fully healed. Next, call the dog bite injury lawyers at Krupp Law Offices for a free dog bite consultation. We will review your case and discuss your dog bite claim. HOW MUCH WILL A DOG BITE INJURY LAWYER CHARGE? HOW DO I GET STARTED WITH MY DOG BITE INJURY CASE?